Do You Have Frozen Pipes on Your Carrier Air Conditioning Unit? If you have a Carrier air conditioning system, you will already know that it’s an excellent brand for heating and cooling. However, like any piece of complex equipment, it can develop faults over time that will need to be fixed before normal operations can take place. Troubleshooting a problem with your system is firmly in the realm of a local heating and cooling expert. That being said, there is one common problem that is easy for even a novice to detect and understand. In this article, we will look at what causes frozen air conditioning pipes and what they are telling you about your AC system. Before we get started, it’s important to understand that any AC system can develop frozen pipes or other issues. It may seem strange, but this is especially true when a brand new AC system has been installed. During the installation process, a number of circumstances could occur that may affect your new system, such as a part jostled during installation, a failed part that needs replacing or a simple installation error. If you’ve had a new air conditioning system recently installed and it’s not working as intended contact your installer for assistance. A simple repair usually rectifies the problem, and in more extreme cases a replacement may be required. This is a common part of bedding in a new system and making sure everything is working correctly. How Do You Know if an Installation Has Been Successful? When a new AC system has been installed, it’s an easy process to determine if the system is working correctly. A new air conditioner should be able to deliver crisp cold air and have a decent level of airflow to distribute the treated air. The desired room temperature should be met within 4-5 hours, but this is dependent upon the outside temperature and the ambient temperature in your home when the system is switched on for the first time. The majority of systems available are designed to cool your home by around 15 degrees in comparison to the external temperature. What Do Frozen Pipes Indicate? This is a common issue when a new air con system is only blowing cool or warm air instead of the colder air you require. If you open up your external compressor unit after an hour, you may notice that the pipes are frozen and covered with a layer of ice. This means that there is a gas or pressure leak somewhere in your pipes or ductwork. A skilled local specialist should be called to identify the source of the leak and fix it quickly. The leak could be located anywhere so this process may take a little time to resolve. If a leak cannot be found it may be the case that the new compressor is faulty and it will need to be repaired or replaced. 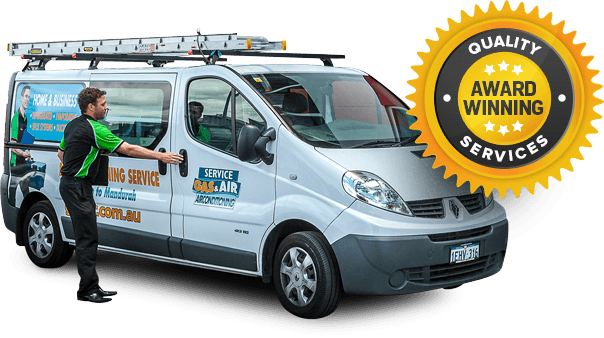 If you’re looking for a new Carrier air conditioning system, contact us here at Gas&Air. We are your local heating and cooling experts for installing a wide selection of equipment including Carrier air conditioning systems. We can also carry out a regular Carrier air conditioning service to ensure that your system is ready for the next heating or cooling season. Our team is standing by to discuss your needs in greater detail, and they will be happy to answer any remaining queries that you may have.